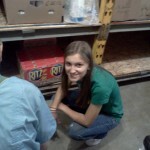 Amanda Smith, Oregon Teen National Finalist, volunteered her time working with St. Vincent de Paul. Amanda Smith, National American Miss Oregon National Finalist, spent her time over the summer to help at a division of her church called St. Vincent de Paul. 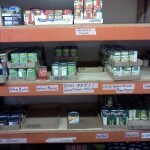 This organization gives food to people who are not able to support their family with food. 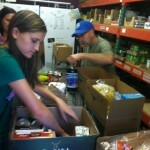 They collect donations from other organizations and the parish community. 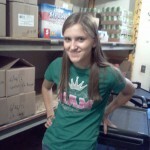 At this great food pantry Amanda got the blessings of being able to sort out the food in the pantry and to deliver it to the homes in need. 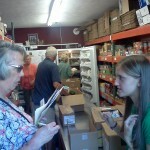 This was a great experience for her to learn how to stock food, as she would need to in a store, and she also got to meet some people who needed her help. 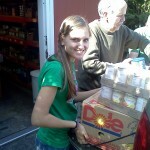 Amanda discovered what the needs of the poor are in her own community. 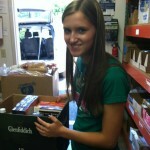 She loved being able to see how she was helping this community. One of her experiences delivering food was whensheI went to a single mother’s house; this woman had just gotten through a very tough day. Her daughter was almost kidnapped the day before by a man who she didn’t even know, and this man got away. She was very shaken up and Amanda and others had to go cautiously and yell through the door who they were and why they were there. It was a very awakening experience, and its one Amanda knows she will never forget it. 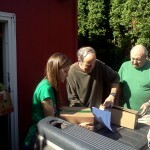 Through this experience Amanda solidified her Gold Award idea for Girl Scouts. She is currently working on making a community garden for her high school so that families can come and get fresh foods for their families. Portions of the community garden will be donated to the local St Vincent de Paul food pantry so families getting food boxes will have fresh produce to enjoy. Author Matt LevertonPosted on January 8, 2013 January 13, 2013 Categories Community Service, oregon, picturesTags amanda, de, nam, namiss, oregon, pageant, pageants, Paul, smith, st., teen, Vincent, volunteersLeave a comment on Amanda Smith, Oregon Teen National Finalist, volunteered her time working with St. Vincent de Paul. 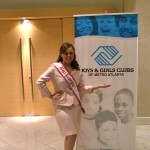 Farewell from our 2010 National American Miss Georgia Teen Queen, Amanda Moreno. 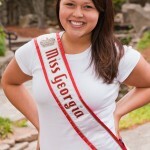 To this day, I vividly remember having my name called as the new National American Miss Georgia Teen. After years of hard work, it all payed off and I knew all eyes were now on me. Being Queen was my dream and I was ready to work hard to be the best teen representative I could be. Nationals was one of the best weeks of my life. Meeting all my sister queens, touring Hollywood and meeting my future boss, Mickey Mouse, were just a few of the highlights. There I was, standing in front of the Disney castle… yet I was the one being honored as a Princess. From the late night girl talks, to the early morning dance rehearsals… our Teen Queen representatives from across the nation are the best! 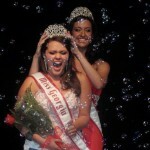 On finals night, I was honored as 1st Runner Up to the National Queen’s title! I was so excited for my ranking, and ready for a nap! The title of Miss Georgia opened up so many doors for me. Whether being featured in Champions Magazine, or being the emcee/host for the annual Boys & Girls Club Super Saturday Night… my year was dedicated to inspiring others. My favorite volunteer opportunity came from creating the True Beauty Movement (www.facebook.com/TrueBeautyMovement). The movement was created in order to help girls find their inner beauty and understand that “beautiful” is who you are… not what you look like. I was so honored and shocked to see that within one week of creation, we had over 200 girls post their picture to our page with the “no make-up, white t-shirt, jeans” look and many made videos to inspire others. My year would not have been possible without the love and support of many. Mr. Matt and NAM staff, you all produce a life changing experience for girls all over the country. From helping me fix my hair back stage, to spending hours perfecting my intro… you all were always there with open arms and just the right final touches. Miss Meredith Boyd, you always knew just how to make me look like a Princess and make me feel like one, too. Don Baker, my accomplishments at state and nationals would not have been possible without your coaching. You have always believed in me, even when I didn’t believe in myself – and for that I am forever grateful. To all my sister queens, what a year we have had! You all are so beautiful and I know that you will always have a special place in my heart. Sarah, my big sister – my journey would not have been as memorable without you! Whether we were celebrating your “birthday” at the Hard Rock, or planning for your wedding…. you always stood as my role model and hero. Momma and Daddy, can you believe that this year has gone by so fast? I am so blessed to have such a supportive team like you two. Not only are you always the biggest fans on Team Amanda, but y’all always know the right thing to say, and are always there helping me be the best Amanda I can be. 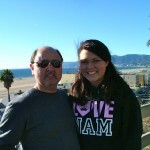 I will always be your little girl. Most of all, I would like to give my thanks to God – for without Him, none of this would have been possible. I have been taken on an amazing journey, and with God’s guidance I have grown into the young lady I am today. Contestants, get ready! It is your time to shine, and I know you can do this. Spend the next few days enjoying the journey – and focused on the blessings ahead of you. National American Miss is like no other and I am so glad to welcome you to our family. The crown will only last for a year, but the friendships you make will be forever. I challenge you to always strive for your best and remember that with hard work and in due time… all our dreams can become reality. To my successor, I can tell you that there are simply not enough days in a year. Throughout your year, you will be referenced to as a “princess,” and a true princess comes from within. It’s not the bend of your hair, the size of your dress, or the color of your eye shadow that you will be remembered for…. you will be remembered for the memories you make and the influences you make on other’s life. It is a hard job, but it is worth it each and every day. You now represent every girl in your state – a big responsibility, but an even bigger blessing. Work hard, stay humble, always smile, and inspire many. Now… all eyes are on you. 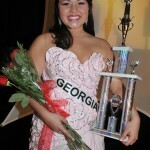 Author Matt LevertonPosted on June 20, 2011 Categories Georgia, pictures, Royalty, WelcomeTags amanda, american, Georgia, goodbye, miss, moreno, nam, namiss, national, queen, teenLeave a comment on Farewell from our 2010 National American Miss Georgia Teen Queen, Amanda Moreno. NAM – True Beauty Movement – WATCH THIS!!! NAM Teen Queen True Beauty Movement from Amanda Starrantino on Vimeo. Author Matt LevertonPosted on May 11, 2011 May 11, 2011 Categories RoyaltyTags amanda, american, beautiful, beauty, inner, make, make up, miss, moreno, movement, nam, namiss, national, natural, no, pageant, pageants, plain, queen, Royalty, starrantino, t, tee, true, up, whiteLeave a comment on NAM – True Beauty Movement – WATCH THIS!! !